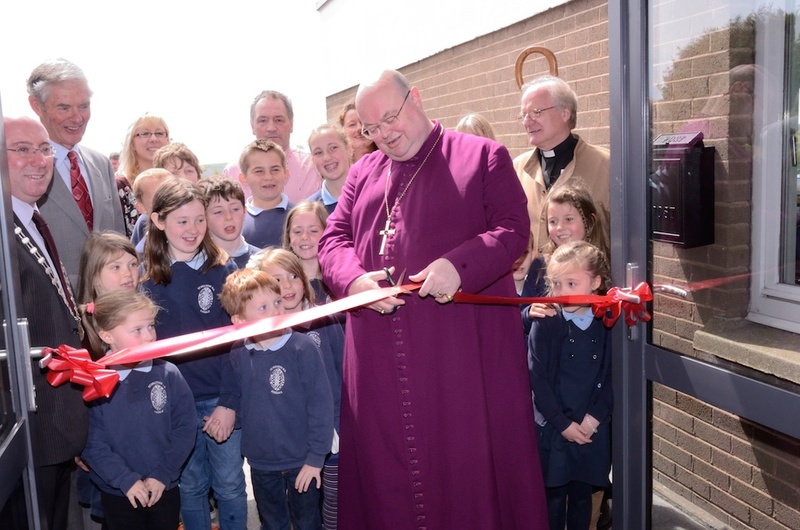 On Friday, 16th May, the Bishop of Cork, the Right Reverend Dr Paul Colton visited St Multose National School, Kinsale, County Cork, to open a substantial new extension to the school. Prior to the opening the pupils and teachers led a Service of Thanksgiving in the adjacent parochial hall at which they were joined by parents and representatives of the local community. The Principal of the School, Ms Fiona Giles, welcomed everyone, and both she and the chairperson of the Board, Mr John Stanley paid tribute to all in the school community who had worked so hard to achieve two such extensions to the school in a relatively short period of time. During the morning the school community also took the opportunity to say a very sincere ‘thank you’ to the rector, Canon David Williams, and to wish him well on his forthcoming retirement. This entry was posted in Children's Work, Community Involvement, Diocese, Parish News, Schools in the Diocese, Special Events. Bookmark the permalink.